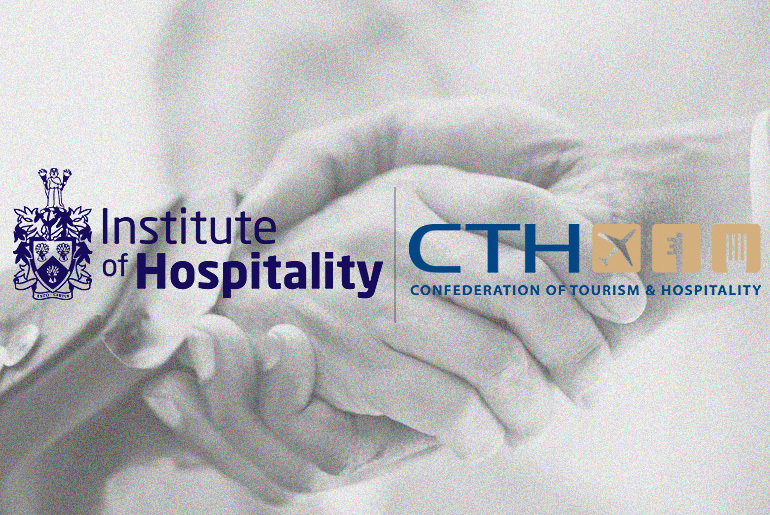 In early February 2018, CTH put the seal on an exciting new partnership with the industry membership body, the Institute of Hospitality. Whilst CTH is the dedicated qualifications body for the hospitality industry, the Institute of Hospitality (IoH) is the professional membership body for the sector. It was felt that there was an ideal opportunity in which CTH would take over IoH's qualifications role whilst IoH would take over CTH's professional membership activities. This will open up graduates to a large network of managers/directors of hotels and hospitality venues. CTH will continue to offer it's Student Membership package with access to the CTH Members site, however, the Professional Membership and Honorary Fellow status will now be discontinued. We instead will encourage our graduates to apply for the IoH Professional Membership. This will open up graduates to a large network of managers/directors of hotels and hospitality venues. In addition, by becoming IoH members they will be able to add 'post-nominal' letters after their name; elevating their profile in the industry. Plus more good news for CTH graduates; the Professional Membership will start at a special rate of just £25 for the first year. Starting now, all IoH Ofqual-regulated qualifications are being transferred to CTH, along with all the Institute's approved teaching centres worldwide. This means that centres now have access to a new Culinary qualification in the form of the CTH (IoH) Level 2 Specialist Award for Chefs in Health & Social Care. Centres also have access to two Career Skills qualifications; the Level 3 Diploma in Hospitality and Tourism Management and the Level 4 Advanced Diploma in Hospitality and Tourism Management. Fill out our application form and enquire about the qualifications here. You could become a CTH accredited centre in less than 30 days. Whilst the Institute of Hospitality is the professional membership body for the hospitality industry, CTH is the dedicated qualifications body. At CTH, we live and breathe qualifications, just that, nothing else. 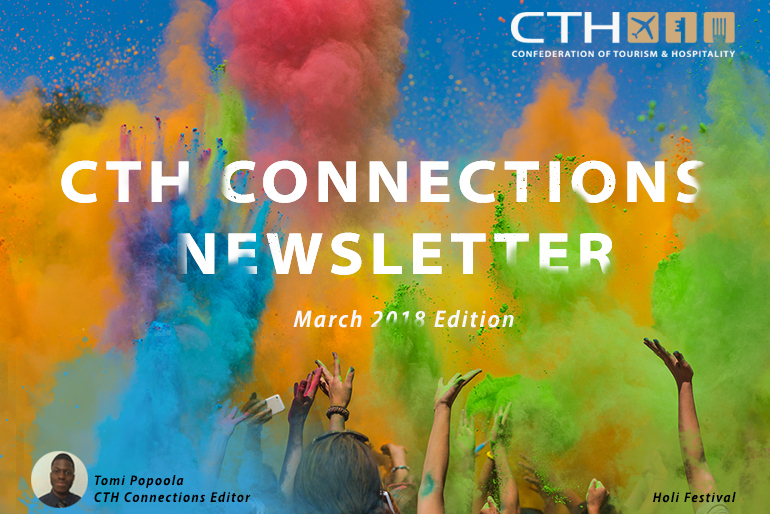 The great thing about our new partnership is that it frees the Institute up to concentrate on its wider membership and career development roles, whilst also securing access to a stream of new potential members from CTH's global student reach. And for CTH, it provides both access to the Institute's unparalleled industry expertise for new qualification development and a great professional membership pathway for graduating students. We believe that CTH has the resources and knowledge to offer our Centres and Learners a first-class service and support, and it is for this reason that we are relinquishing our Ofqual Awarding Body recognition. We will, however still be involved and have oversight of our qualifications' progress and the Institute of Hospitality brand, as members of CTH's Academic Board. We continue to be committed to our mission to promote professionalism in hospitality management through lifelong learning. We believe that this is best achieved through partnering with CTH, drawing on the expertise and industry knowledge of our Members and Fellows and having to help us have an input into the design and creation of new qualifications that meet the needs of our fast-moving industry. Leading international university ranker, QS, has confirmed that CTH partners, Bournemouth University now sit at 8th place in the entire world for its Hospitality & Leisure Management faculty. This is a wonderful badge of honour for the University and makes it one of the very finest in the world in this field. CTH has a long-standing pathway for graduates of the CTH Level 5 Advanced Diploma who are then able to register into the Final Year of the University of Bournemouth's Hospitality and Tourism Degree programmes. 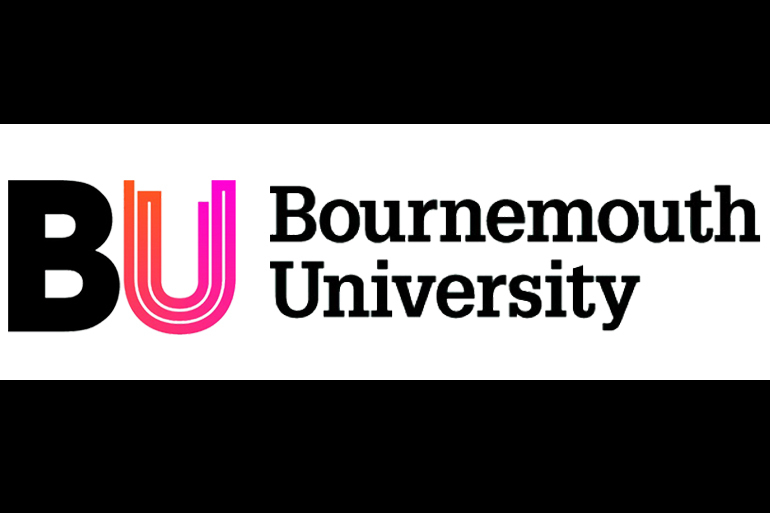 So, this is excellent news for CTH students thinking of continuing their studies on to bachelor’s degree level, as they can draw credibility from Bournemouth's new position. If you are able to achieve both CTH qualifications and a Bournemouth University degree then employers will be sure to sit up and take notice when your application comes across their desks. If not, here's a preview of Bournemouth's new rank. Earlier this year, CTH flew to Mauritius to visit our teaching centres in the region and offer our support to staff and faculty members. Sue Hindley, our Director of Quality visited various centres, but a highlight of the trip was the Elite Business School graduation. Elite Business School is a teaching centre that has been with us for a few years now. Recently, Elite have made significant strides in order to develop it's standing as an education provider. We've seen this from Leena Pem Sewpaul's (Director of Elite) visits to London and Elite's activities in promoting it's CTH qualifications. That is why it's so great to witness both the recent students and the staff at Elite reap the rewards of their hard work. It's always a proud moment for an education provider, when it adds lifelong security to a student's life with valuable knowledge and qualifications. 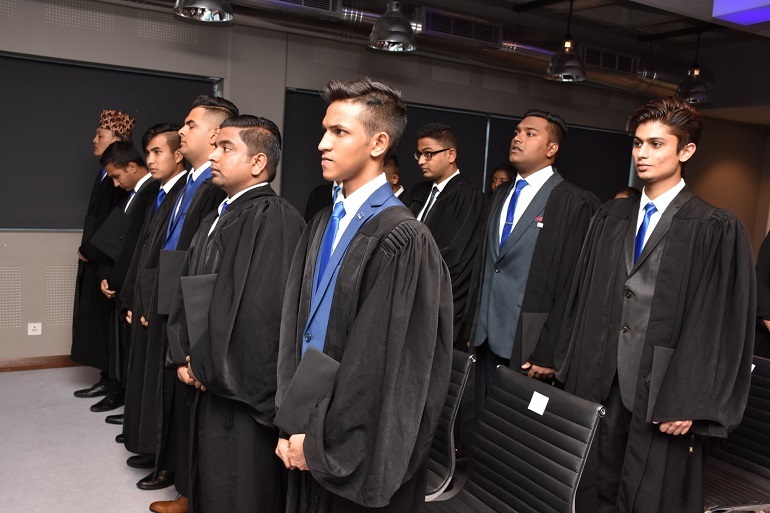 For the first time in the history of Mauritius, Elite succeeded to host the graduation of the CTH UK Hospitality Management Students. So to Leena and the team, congratulations and we look forward to Elite's continued development. In the city of romance, you could easily spend more than a day. But what do you do if you only have a day? Wear comfortable walking shoes as you will be doing A LOT of walking. We did not book in advance for anything as we travelled in October. However, if you are travelling in the summer months then do book ahead for some of the attractions. 1. La Creme De Paris Cafe. Located in the 2nd arrondissement. You need to make sure you are all fuelled and ready for the day ahead. They have the best croissants and crepes. 2. Stravinsky Fountain. There are some great spots to see street art as you walk around Paris but the sculptures in the fountain are fun and colourful and an opportunity for some creative pictures. 3. Notre Dame Cathedral. Entry is free, although you can purchase an audio tour to hear more about the history. A magnificent building with a great history and a chance for some amazing pictures both inside and out. 4. Shakespeare & Company bookstore. For those interested in books and history it is a beautiful and quaint little place filled with new and old books and a quirky style with interesting things dotted around. Find the piano and, for those musically talented, have a go. There is a cafe attached next door for any refreshments and refuelling. 5. Pont Neuf. The original bridge for padlocks (Pont des Arts) has had all its padlocks removed, but you can now add them at Pont Neuf. Make sure you take your own padlocks along or buy them from a store near the bookstore. 6. The Louvre. Famous of course for housing the Mona Lisa, so this is a must see. However, there is plenty more artwork to admire, but the Louvre is huge so a great way to get around is to do a treasure hunt. THATlou has a ready prepared treasure hunt that takes approx two hours. If you have time then there is also a great tour by Discover Walks that begins at the Louvre called ‘Hidden Gems and Secret Paris Tour’. It is free and you pay the guide a tip based on their service. 7. Place de la Concorde. The largest square in Paris and where you will find a 3,300-year old Egyptian obelisk decorated with hieroglyphics as well as two monumental fountains. 8. Champs Elysee. Directly linked from the Place de la Concorde, this is where you will find all the major stores as well as a stop for tea and macaroons at the world famous Ladurée. If you are not into the high street shops and you’re looking for something a little different, then take a little detour. Head to Hotel Costes for their cheesecake, which apparently has the best cheesecake in the world. Then take a trip to a quirky department store called Colettes in Rue St Honores where they stock interesting gadgets and quirky items. 9. Arc de Triomphe. One of the most famous monuments of Paris and standing at the other end of the Champs Elysees. It honours those who fought and died for France in their wars. You can climb to the top for some great pictures of the surrounding area and the Eiffel Tower. 10. Trocadero Gardens. With an amazing fountain feature you can take some beautiful pictures of the Eiffel Tower from afar. 11. The Eiffel Tower. Some tips for you when heading to the top. Avoid the queues and crowds waiting for the lift and walk up the stairs. Don’t worry the stairs are only to the second floor and not all the way to the top. Look for the stair entrance where you can purchase your tickets. Stop on the first floor for some pictures then head up to the second floor. Here there is a booth selling tickets to take the lift to the top. There is no time limit once you are up there, so make the most of it. On the way down you can take the lift all the way to the bottom as tickets are not checked. Or if you’re still feeling energetic then walk back down from the second floor. You can also get some amazing pictures from the bottom, directly beneath the centre of the tower where you can really admire the architecture. 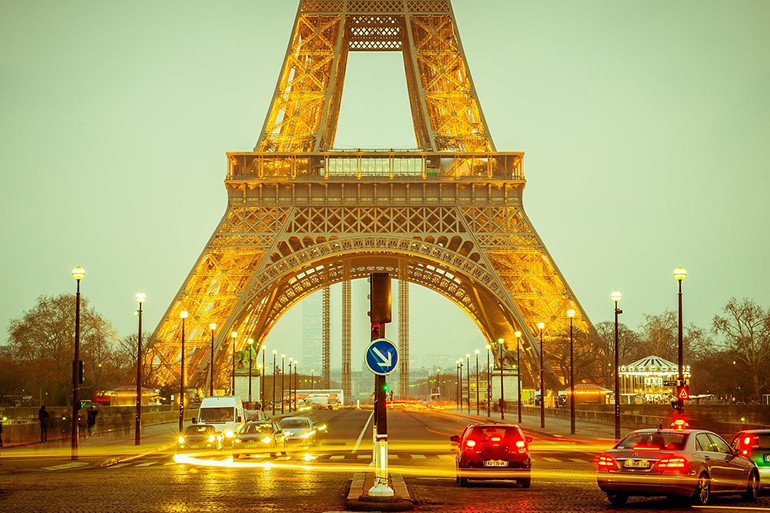 If you arrive here when its daylight, then make sure you come back for the evening when the Eiffel Tower is all lit up and sparkly. And don’t forget. If walking around is not top of your list then you can always do a Segway tour of Paris! 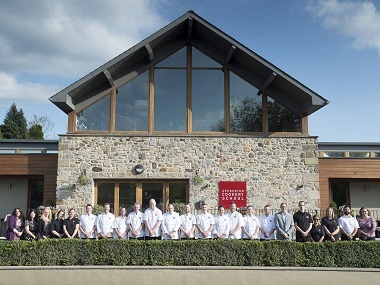 This image shows the Ashburton Cookery School campus as well as the staff who work there. We think it's a great way to show the facility as well as the people that work inside it. 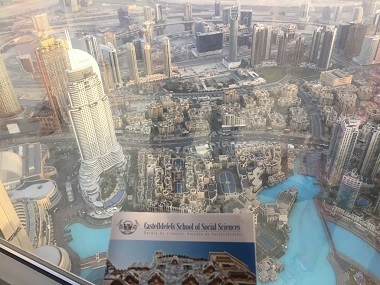 This image from Castelldefels School depicts a birds eye view of the city of Dubai with a Castelledels brochure edging into the picture. Castelldefels in Dubai? With the third image, we have the beautifully carved fruit with the COTHM carved over a bunch of rose. Great craftsmanship. Here's something a little more motivational. 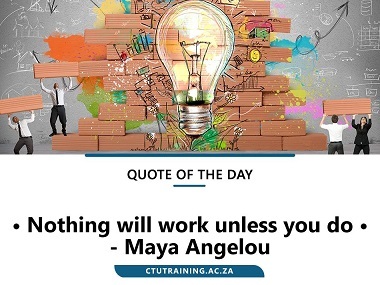 Using their quote of the day, CTU have used a quote from the American writer Maya Angaelou, motivating people to take action. Nice! 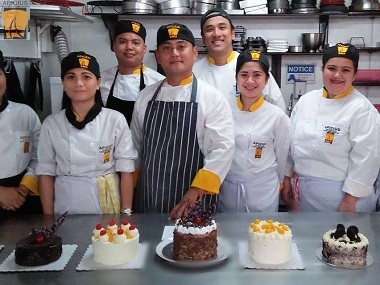 Here we have Apicius Culinary School during their dessert-making class. Take a look at the selection of cakes that were made on the day. Learn about our Administration Coordinator's favourite food, holiday and role at CTH in the latest 'Meet the Team' segment. Hi Arkin, tell us about your role at CTH and what you’re going to be doing? AB: I am the Administration Coordinator. 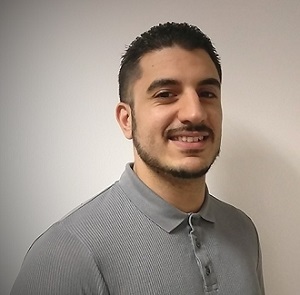 My role consists of creating new qualifications on our systems, liaising with our centres regarding membership registrations, uploading results, issuing certificates and assisting the Exams Coordinator with our exam rounds. I also work with the Career Skills Manager to upload results and issue certificates for our bespoke qualifications. The other part of my role will be to streamline processes and procedures. My role is varied and there is a lot to do! It sounds like you're going to be very busy boy. What were you doing before you worked at CTH? AB: I worked for another awarding body for just over 2 years as an Operations Coordinator. I built up my skills and knowledge during that time which has helped me with my new role at CTH. Hopefully, you can continue to do that here. What are you most looking forward to whilst working at CTH? AB: I am looking forward to getting to know the team and implementing new processes! We usually ask people two questions about themselves. As we're in the tourism, hospitality and culinary industry, we start by asking... what’s your favourite food? AB: This is an impossible question to answer as I eat a lot and mostly anything! It would have to be a Turkish dish called Kofte. See, not too difficult, nice choice. Our last question is, what’s the best holiday you’ve been on? AB: Another difficult question, but this would be Malaysia. The city was beautiful and there was so much to do. A popular destination, another great choice. You're quite good at this. Thank you for the insight Arkin, it's been great. There you have it, our latest edition to the Meet the Team segment. If you want to try a Turkish dish, start with Kofte and if you want to visit a beautiful city, try Malaysia. 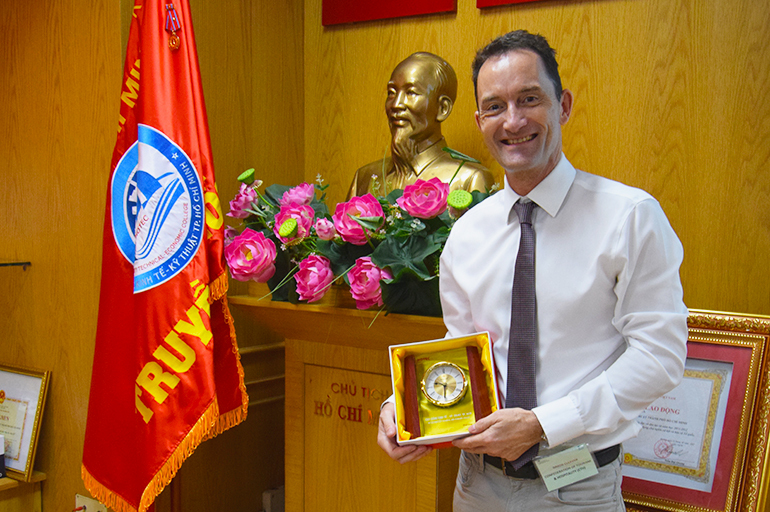 This January, CTH was invited by the UK Government to support it in a special TVET Trade Mission to Vietnam. The event was designed to strengthen ties between Vietnam’s fast-developing vocational training sector and UK institutions; bringing in UK expertise to help develop skills in Vietnam’s rapidly-growing economy. CTH took part as the representative of the UK’s hospitality, culinary and tourism sectors and engaged in some exciting project discussions with a number of Vietnamese colleges and further education institutions. The Mission visited both Ho Chi Minh City and Hanoi and was actively supported by the country’s British Embassy and Vietnamese Government authorities. Vietnam is changing incredibly quickly and students entering work have amazing opportunities but also big challenges. The Vietnamese FE sector needs to continuously evolve to make sure it is providing young people with the right skills, so they can maximise their potential. The hotel, restaurant and tourism sectors here are exploding and demand for well-trained personnel is pretty much off the scale. CTH can seriously help here. The tourism and hospitality sector in Vietnam grew by a phenomenal 30% in 2017 and this looks set to continue. It seems the term ‘Asian Tiger economy’ was tailor-made for Vietnam. There's a lot to love about India: the attractions, the culture, the history; it's a country that could see sustained growth in its tourism and hospitality industries for years to come. So, when we recently visited the country, our Director of Sales and Business Development, Steve Beckworth wasn't surprised by what he saw. He was welcomed with open arms during his visit; the principals, teachers and students at schools and centres in Chennai, Kolkata, Delhi, Mumbai and Pune were very accommodating. Offering various delicacies and tours around campuses and learning facilities; the trip provided a useful insight into tourism and hospitality education in India. From a CTH standpoint, the trip proved to be a success, as Steve was able to build connections and meet some amazing people. Steve said "the quality and high standards at many centres was extremely impressive". Through the trip, CTH was able to forge exciting new relationships, many of whom we are in frequent contact with today, in fact, this has led to some great news. 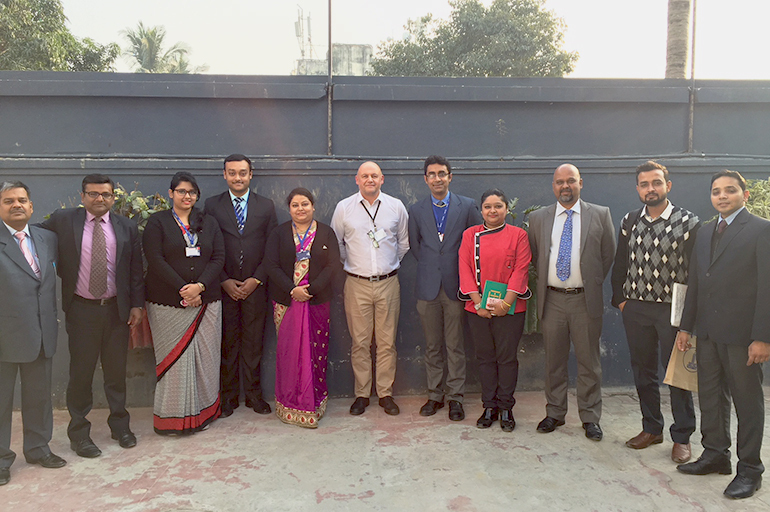 CTH are happy to announce that NIPS School of Hotel Management in Kolkata have been approved and accredited by the CTH Academic Board to teach our Tourism and Hospitality programmes from Level 3 to Level 7. We are looking forward to working with NIPS School of Hotel Management as we welcome them to the CTH family and wish the best of luck to all future students! As part of our strategic vision, CTH is constantly looking to expand and build links around the globe. Our trip to India was a great way to start 2018, however, we will continue to pursue opportunities wherever they present themselves, this year and onwards.